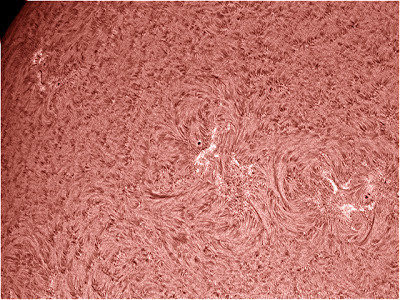 The image was colourised to represent the part of the spectrum being used to make the image. 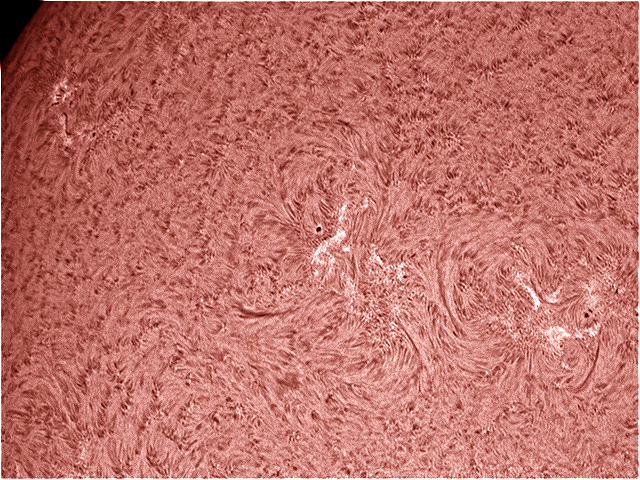 Spicules can be seen on the solar disk and the prominence on the limb. 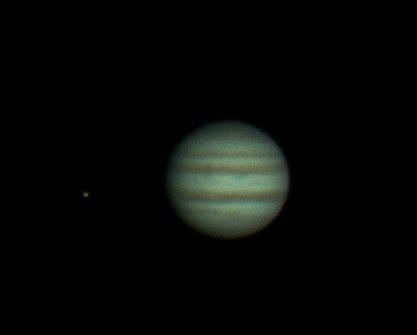 The Oval BA can be seen as well as the moon Io. 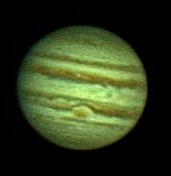 This image of Jupiter is made from stacking the best 120 frames of 1800, captured as an AVI by a Philips SPC900 camera fitted with a x2 Barlow and a 6" SCT. 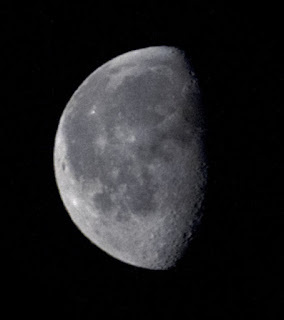 In future, a tripod will be used and several images will be stacked to reduce noise.